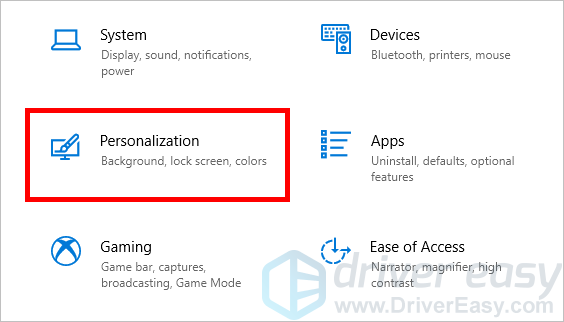 1) Press the Windows logo key and i on your keyboard at the same time. 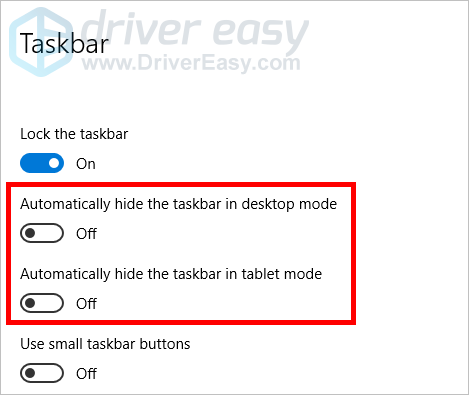 4) Make sure the Automatically hide the taskbar in desktop mode and Automatically hide the taskbar in tablet mode options are turned off. 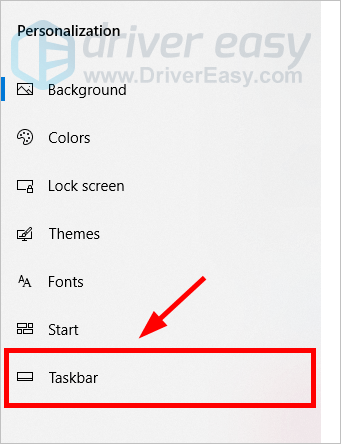 Perhaps your taskbar is not showing up because the Windows Explorer task is not working properly. You should try restarting it to see if this resolves your problem. 1) Press the Ctrl, Shift and Esc keys on your keyboard at the same time to invoke Task Manager. 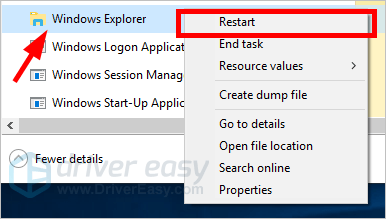 2) Right click Windows Explorer, then click Restart. This should restart Windows Explorer and, hopefully, restore your taskbar.